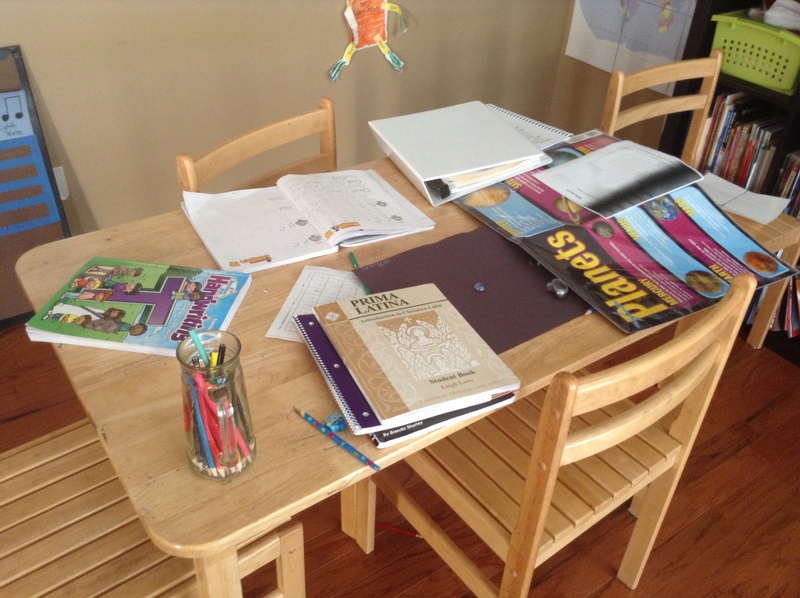 In case you wonder how I do it all…. 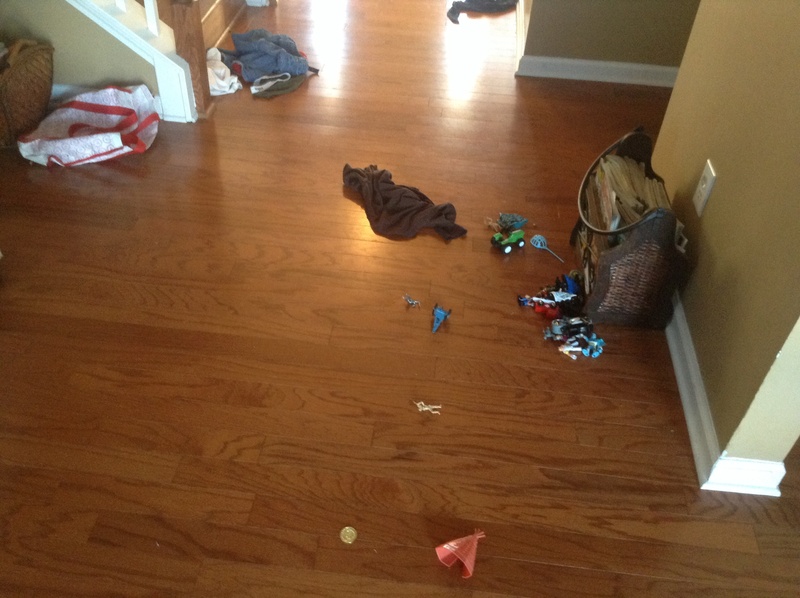 Entry Hall–toys put away by son #3 and dirty clothes put away by son #2–check! Wow, I am on a roll! So, this afternoon (and tonight AND the next day…AND the day after that) give yourself some grace; no one has it all together. Savor moments with your family and kiddos, and relax. 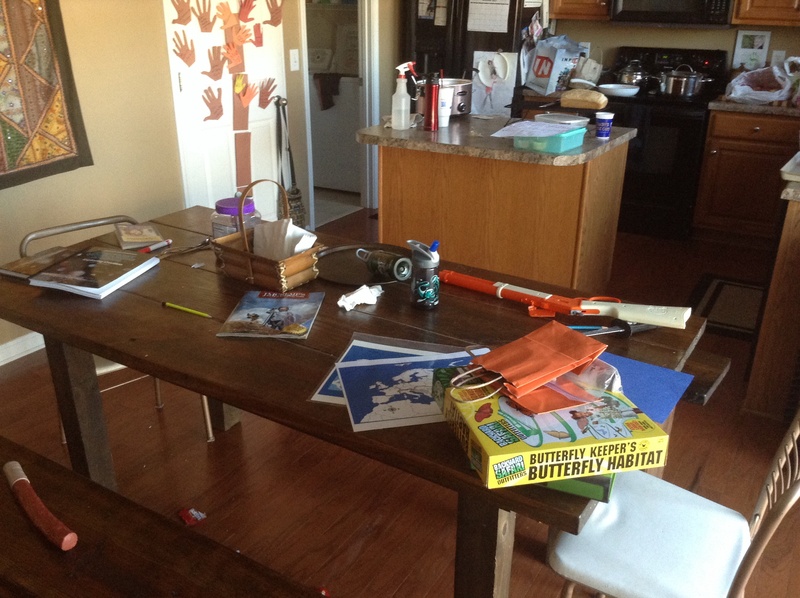 🙂 AND…if you’re husband comes home and he’s upset that your house isn’t spotless, just show him my pictures, and he will feel lots better about your day’s efforts. 🙂 Oooh, gotta go…smelling something burning on my stove. Burned chili for dinner-awesome. YES, burned cornbread and burned chili would’ve been perfect together! how far are you from Tennessee? you crack me up! You are super capable. Love all you do and can’t believe you do as much as you do! Miss your enthusiasm and smile. Oh Suzanne, how am I JUST now finding this??? I NEEDED this post today!!!!!!!!!!!!! awwwwwwwwwwwww…so happy to hear from you!! so glad this post was encouraging to you. After I posted it…I thought “eek! that may have been overshare!” BUT…i think we always need this reminder, don’t we. i definitely did…again today!